Three more conferences get underway this evening with teams in the America East and NEC all gunning for the coveted automatic-bid to the Tournament, while the Missouri Valley is vying to send two teams to the Dance. Boston University is all of a sudden the favorite to win the America East with the uncertainty of Evan Fjeld‘s ankle, while Missouri State and Long Island are the favorites in their respective leagues. Something tells me though that the Wichita State Shockers will be looking for vengeance following their two losses to the Bears earlier this year. The Favorite: Vermont appears to be the favorite, but a lot depends on the status of Evan Fjeld’s ankle that he injured in UVM’s final regular season game against Boston University. In what very well could be the America East championship game, BU went on to defeat the Catamounts in overtime. Allison Shepherd told John Fantino of the Burlington Free Press Blog that: “[Fjeld] is receiving daily care and treatment for the injury. We will have a better idea regarding his playing status for the upcoming America East tournament as the weekend approaches.” Something tells me that even if Fjeld and his ‘Stache are able to go, he will not be at 100%. I like Boston University. Dark Horse: Behind senior Tim Ambrose, Albany is a team that has come on strong as of late and is capable of making a run in the A-East tournament. The Great Danes have won four straight to end the regular season, but getting by Stony Brook will be no easy task in the first round. 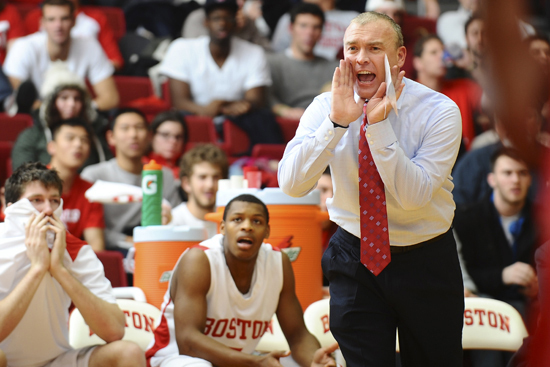 Who’s Hot: Boston University has not lost in February and is 8-0 during the month. They defeated Vermont to conclude the regular season and are flying high with John Holland—arguably the league’s best player—leading the way. Player to Watch: John Holland has been a staple in BU’s rotation since the day he stepped on campus. The senior has averaged double-figures in scoring for all four years, and his 19.2 points a game this year is tops in the league. First-Round Upset: Hartford over Maine. The Black Bears were an intriguing team and story to follow early on in the season. They beat a solid Penn State team and began league play with an 8-1 record, but since then they have fallen flat on their faces. 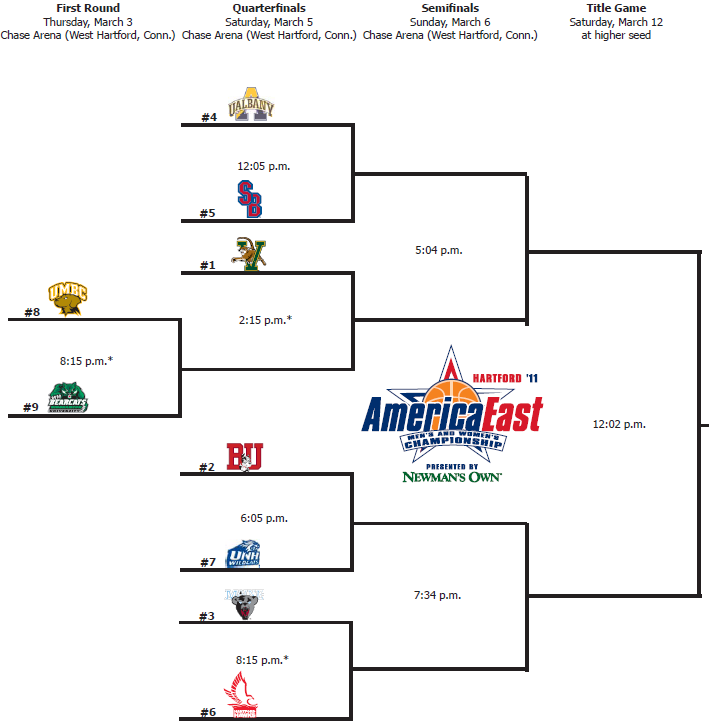 Although their date with Hartford is technically not in the first round—the America East essentially has a play-in game between the #8 and #9 seeds to begin the tournament—fourth seeded Maine will have their hands full with Hartford who has already beaten them twice. How’d They Fare? As a 16 seed last year, Vermont could not handle the athleticism or shooting ability of Syracuse as they lost 79-56. Easily the best part of the clip is Tom Brennan’s reaction after T.J. Sorrentine swishes home the three from about 35 feet away, and if you look even further past Brennan the reaction of the guys sitting on press row are priceless too. This is what makes March so Mad!